A pharmacy has been granted permission to stay in business despite making an eye injection that allegedly left 68 people partially or completely blind. 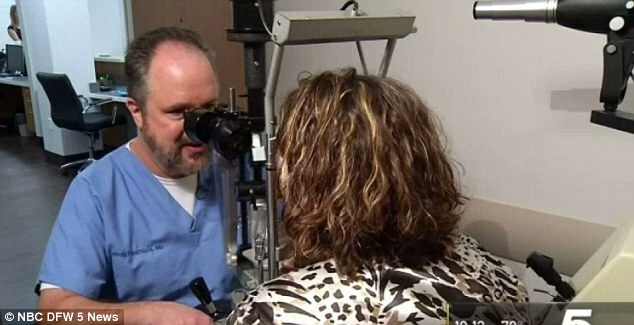 The patients in Dallas had all been promised clear eyesight, free of their cataracts, if they endured the spine-tingling process of having a needle pushed into their eyes to administer a steroid-antibiotic liquid. The medication is designed to be a permanent alternative for eye drops, decreasing inflammation and irritation. However, it appears a batch of the liquid may have been contaminated – and there were no checks on the liquid before it was rolled out to patients – leaving dozens with irreversible symptoms. After a five-month inquiry, a federal court in Texas gave Guardian Pharmacy Services the green light to keep working as usual, without admitting wrongdoing, as long as the firm pays for the FDA’s future inspections of their products. The firm will be able to sell the eye liquid again once the FDA approves that each batch does not carry a health risk. In a statement, outgoing-FDA director Dr Scott Gottlieb hailed the decision as proof that the FDA’s oversight works. ‘This case is yet another reminder of why unlawful compounding is fraught with risk, how bad actors who have the potential to significantly harm people persist and why the FDA’s work in collaboration with our state partners remains critical to protecting consumers,’ he said on Tuesday. When the story first emerged in September, the clinic, Key-Whitman Eye Center, was quick to pass the blame to the manufacturer, Guardian Pharmacy Services, also of Dallas (unrelated to the business of the same name in Atlanta). Andrew Sommerman, an attorney who represents 43 of the 68 affected, raised an eyebrow at that response. 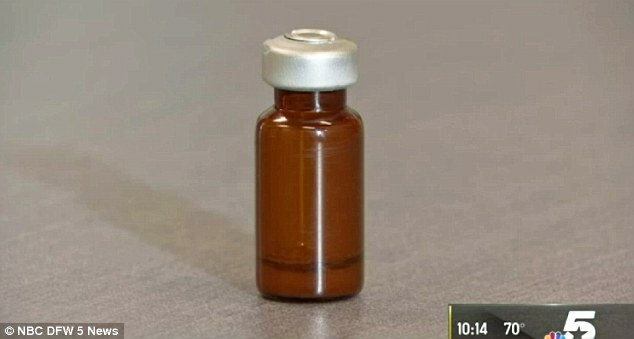 ‘It makes you wonder, does it not, what sort of vetting occurred by Key-Whitman allowing this product to be used on over 100 patients,’ Sommerman said to DailyMail.com at the time. All of the affected patients were treated between February 9 and February 16 at Key-Whitman in Dallas, Texas. 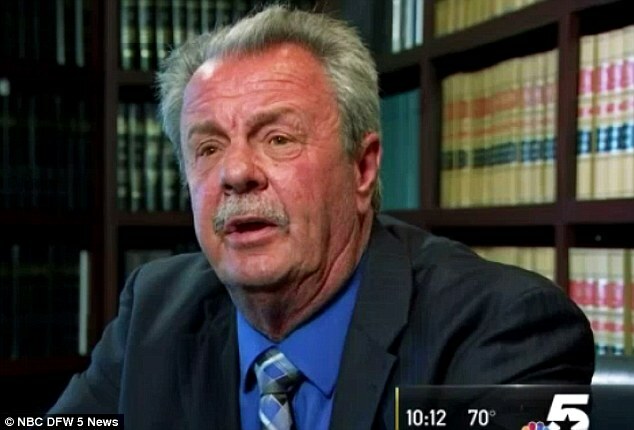 According to Sommerman, all of his clients are blind in at least one eye, and he has not met one person, even outside of his patients, who recovered. Most of his patients were ‘newly retired, planning to see the world’, he said, (adding ‘well they’re not going to see it now, are they?’). Many of them, though, were working as drivers, artists, and other visual jobs that drove them to get surgery. One of them is Curtis Cosby, a lorry driver, who wanted to do something that could banish his blurry vision, without having to keep stopping the van to take eye drops. Now, though, he’s been told he may never see clearly again, and Sommerman says he can no longer work. ‘It was really blurry, as if looking through a defrosted window or something,’ Cosby told NBC 5. Cosby and the five dozen others is seeking unspecified compensation from Key-Whitman. 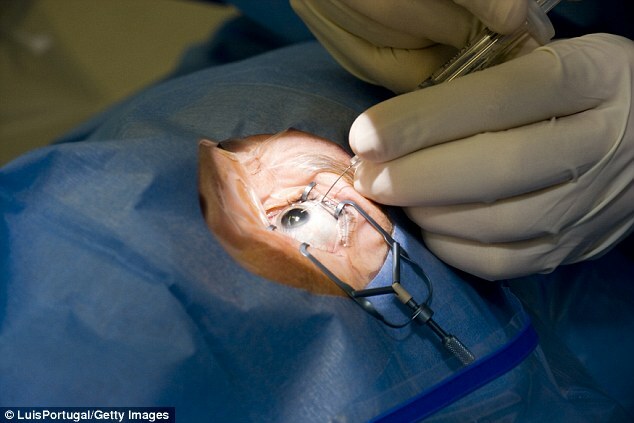 Dr Jeffrey Whitman, president and chief surgeon at Key-Whitman, insists ‘some patients have regained normal – or close to normal – visual acuity’, and distanced himself from the other cases, saying ‘others are apparently still experiencing visual impairment’. He also says that while Cosby was treated at Key-Whitman, he was treated by an external surgeon. Whitman maintains he is outraged himself. He added: ‘Our first priority was the wellness of the patients. Guardian Pharmacy Services has been contacted by DailyMail.com for a comment.